Japan has a long tradition of superb art-craft skills in many media â ceramics, textiles, lacquerware, metals, wood and bamboo, dolls, cut gold-leaf inlay, glass, cloissone. 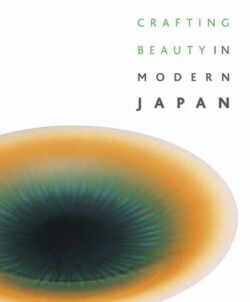 Indeed, the respect for the beauty of the objects created, the materials and techniques, is embedded in Japanese social attitudes and culture. This stunning book, published to coincide with an exhibition at the British Museum, presents some of the best art-crafts to have been produced in Japan over the last fifty years. The pieces illustrated also represent the finest examples submitted to the annual Japan Art Crafts Association exhibition since its inauguration in 1954 â an open, competitive exhibition that has become the major showcase for modern decorative arts. A number of the artists featured are ‘Living National Treasures’: the holders of special craft skills, as designated by the Japanese government. Some of the works are traditional in form or function; others are infused with modern beauty. Today, many of the craft artists feel it is their duty to improve on the techniques handed down from their forefathers and to apply them to the creation of new works that fill the needs of a contemporary society â sublime objects for a new era.